10 years. 18 movies. 2 Hulks. 5 Infinity Stones with one more to be revealed. Roughly eleventy billion dollars in box office earnings. It has been a long, wild journey, but the pinnacle of a decade’s worth of big budget blockbuster movies bringing some beloved, some under-the-radar comic book characters to the silver screen with the release of Avengers: Infinity War. By now, unless you’ve been living under rock or are actually a rock – which means you might have been stealing scenes in Thor: Ragnarok – you probably have been bombarded by ads and previews for the biggest movie yet to come out of the Marvel Cinematic Universe. However, it’s still hard to understate how big of a moment this, not only for cinema history, but also the millions of fans that have gotten hooked by the MCU and its massive cast of characters (all who seem to be on the Infinity War movie poster). Skepticism aside – and there’s plenty of that for the MCU back in our universe as it relates to all the MacGuffins, repeating plot lines, and blowing up of stuff – the premiere of Infinity War feels like a real event. Full disclosure: I’m all in with the MCU. Every time a new movie is released, I get fired up to go to the theater, sit in the comfy seats, and enjoy the spectacle for a couple hours. Some movies have been fantastic, some have swung and missed. But I’m always entertained. So, if you’ve come to scoff at the silliness of the franchise, I’m gonna “Mutombo” that. I’ve got no time for that noise. The anticipation for Infinity War only has been matched by a few movies in my lifetime. The first movie that felt like this was Star Wars: The Phantom Menace, and while it’s easy to laugh about that now, the release of the first Star Wars movie in almost two decades was a real thing. It was the chance for a new generation to have its own Star Wars movies while everyone young and old who loved the franchise got to step back into a world it loved. While Menace obviously was a disappointment, the release of the movie was in many ways as important as the actual movie. Our entertainment culture has become more stratified and separated as Hollywood has bombarded us with more choices in TV and movies than ever before. So, when a blockbuster movie of this magnitude gets released, it’s more than just a way to kill some time. It’s a shared event amongst people from all over the world. The same thing happened when The Avengers premiered back in 2012 because Marvel was taking a big swing by bringing all the main characters from its tentpole movies into one epic movie. 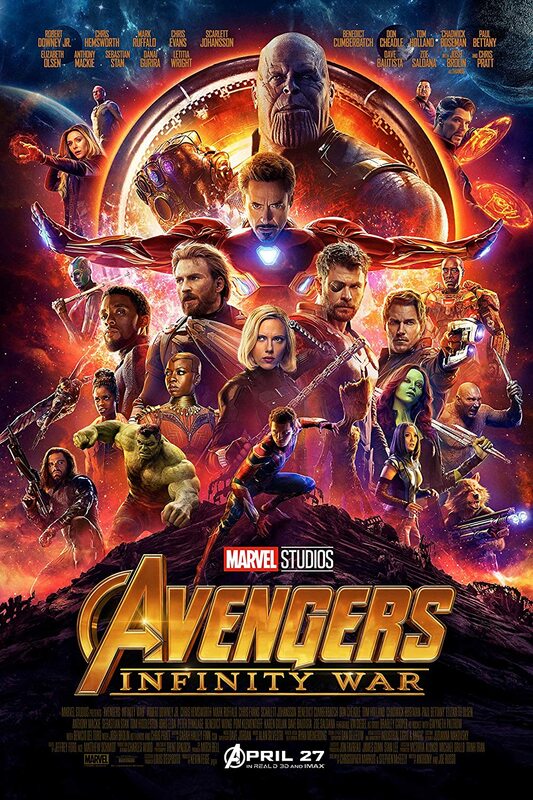 The quote from Avengers about the Avengers Initiative being an idea to bring a group of remarkable people together to see if they could become something more was very meta commentary in that it wasn’t just about the Avengers themselves coming together to save New York and the world from an alien invasion. It was about whether a greater story could be told by bringing all these huge characters and actors that actually was more than the sum of its parts. The reason why Marvel has succeed where DC has failed in this regard is that Marvel has actually stuck the landing while the bozos at DC have completely lost the plot. And that’s what has really has made the journey through the MCU such a memorable and entertaining experience. Marvel has given us a collection of terrific moments over the years – such as Tony Stark revealing his true identity as Iron Man to the world, Steve Rogers emerging from the radiation machine as a super soldier, the Avengers surrounded by the Chitauri on the streets of New York, Groot sacrificing himself to save the other Guardians of the Galaxy, T’Challa defeating Killmonger to free his people but also making the decision not to repeat his ancestor’s same mistakes – that have added layer upon layer to the overarching story that began in an Afghanistan cave back in Iron Man. As I prepared for the release of Infinity War by rewatching all of the MCU movies except The Incredible Hulk – because well, if Marvel wants to forget that Edward Norton was the Hulk, then so should we – I was reminded yet again of why the MCU movies have made such an impact on the world of cinema. Yes, these movies can be cheesy. Yes, they can get a little repetitive at times. But they are FUN. They are moving. They are awe-inspiring. They are always entertaining. They are also the reason that I called up my brother, Matt, on a random Thursday afternoon after work just to talk about all the things that we’re excited about in the next movie and to make predictions about what will happen. There’s a buzz and electricity about these movies that hasn’t been by matched by anything in recent years except maybe the return to the Skywalker saga in The Force Awakens. Even then, Awakens did not have the sense of building to a crescendo that Infinity War promises to be. That’s why at their best, MCU movies represent the peak of our blockbuster movie culture. It’s a spectacle that you feel like you miss out on if you’re not part of it. These movies are something to be shared and enjoyed. They’re supposed to be fun. And the point of them is to entertain even if they aren’t always a cinematic masterpiece like Godfather II. So, this weekend, make sure you avoid the spoilers and ignore the hate. Go find someone who looks at you like Thor did to Hulk in Ragnarok and bring them with you to the movies. When you get to the theatre, make sure you roll up with a smile on your face like Tony Stark at the craps tables. Geek out like Peter Parker documenting his trip to Germany to help Iron Man and be one of the Avengers. Enjoy the long, winding road that it took to get to this point where literally dozens of your favorite characters come together in the war to end all wars. After Infinity War, the MCU as we know it will change in a ton of ways. But we will have all been through it together, loving the ride.